The success of MSI Wind series has inspired the famous netbook manufacturer to introduce its new Wind U110 ECO lately. 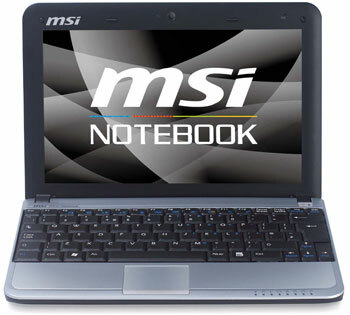 This new netbook dubbed as MSI Wind U110 ECO inherited the great design and impressive specifications of the Wind U115. But what makes it special is that it is slated to have 9 hours of battery life. The new Wind U110 ECO features Intel Menlow Atom family of processors (the 1.6 GHz Atoms Z530) and Intel Poulsbo chipset (US15W). Intel’s Poulsbo chipset contains GMA500 graphics and has only two PCI Express x1 lanes. Supporting up to 2GB DDR2 533MHz RAM, MSI offers option of 160GB or larger storage. MSI Wind U110 ECO comes with a 10-inch LCD screen which supports 1024 x 600 pixel resolution. Other features available include a 4-in-1 card reader, three USB 2.0 ports, Gigabit Ethernet, a 1.3Megapixel built-in camera, Bluetooth 2.0 and 802.11b/g/n options. There are no details about the availability and pricing of this long battery lifespan netbook at this point of time.